THE competition to produce the definitive re-creation of the BR/Sulzer Type 2s in ‘OO’ gauge took a further twist at the beginning of July, with Heljan joining Bachmann and Sutton’s Locomotive Works (SLW) in coveting members of the Class 24/25 family. Specifically, Heljan is looking at the type in its final Class 25/2 and Class 25/3 guise, which featured the revised design of bodysides and cab fronts. SLW has produced the ‘standard’ Class 24 in recent years while Bachmann’s long in gestation model of the headcode box fitted classmates is also tangibly progressing at last with the publication of a CAD image in its most recent collectors’ club magazine. 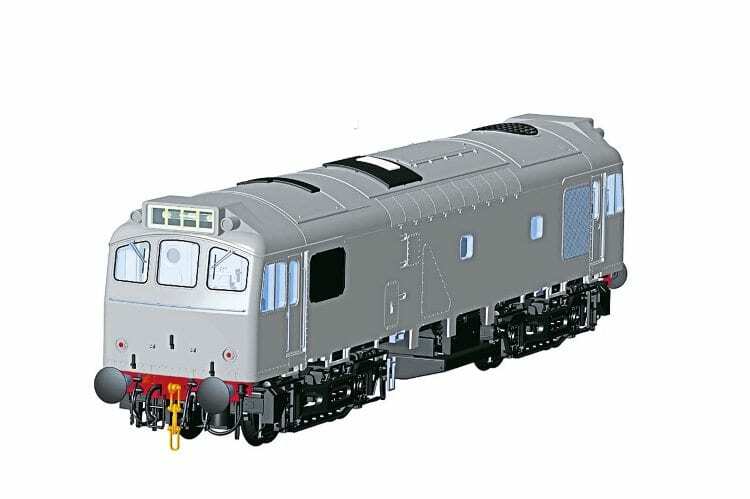 Bachmann has previously stated that its revamped tooling will cater for a new Class 25 while the design of the SLW model also allows for this as a future, but as yet unannounced, development. For its model, Heljan has set a release date of next year, eschewing anything more specific for the moment, but as shown by these CAD images, work is well underway. The stated specification includes the expected all-wheel drive, illuminated marker lights and headcode displays, 21-pin DCC socket and speaker provision. Read more in the August issue of RE.